The right-wing government of the Republic of Austria has announced that it intends to withdraw from the final steps to join the United Nations-sponsored Global Compact for Safe, Orderly and Regular Migration. 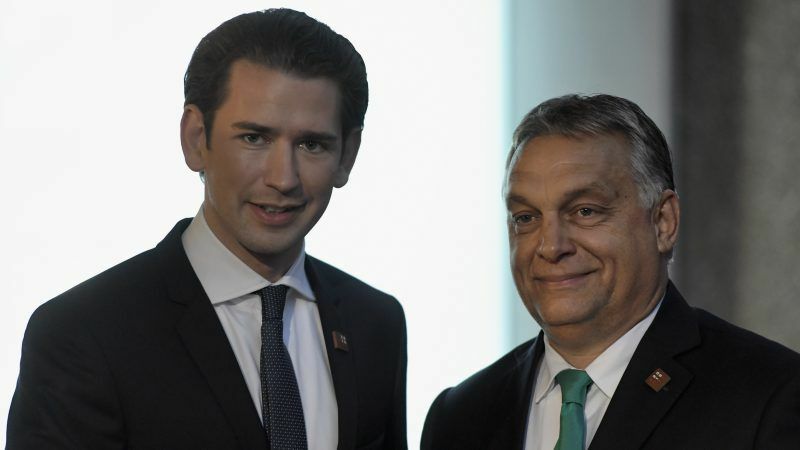 The move, as reported by Austrian media on Oct. 31, 2018, makes Austria the third country, alongside Hungary and the United States, to withdraw from the proposed migration pact. In the midst of the ongoing migrant and refugee crisis facing Europe — the largest such crisis since the Second World War — the United Nations (UN) General Assembly convened a high-level summit on the topic of refugees and migrants in September 2016 that ultimately produced a declaration calling for a global compact to formalize processes for “safe, orderly and regular migration” under the overarching framework of the 2030 Agenda for Sustainable Development. Negotiations that began in April 2017 were ultimately concluded in July this year when the high-level working group convened by the UN General Assembly finalized the text of the Global Compact and set early December as the date for the Intergovernmental Conference to adopt the Global Compact for Safe, Orderly and Regular Migration to be held in Marrakech, Morocco. In the Sept. 2016 declaration, the proposed compact states that it is a “non-legally binding, cooperative framework that builds on the commitments agreed upon by Member States.” As such, states that ratify the proposed compact are under no obligation to carry out its clauses and retain their full rights to determine and conduct immigration policy on a national level. The signing ceremony to be held in Morocco is essentially an opportunity for states to diplomatically and publicly signal approval and commitment to the ideals and stipulations laid out in the compact. Critics of the compact, however, have called the proposed agreement a violation of national sovereignty and a possible conflation of illegal and legal migration on the international level. Hungary, under right-wing nationalist Prime Minister Viktor Orbán, followed suit shortly after the compact’s language was finalized in mid-July 2018, with Hungary’s Foreign Minister asserting that the document was “entirely against Hungary’s security interests” and posed a “threat to the world from the aspect that it could inspire millions” of migrants. As such, Hungary will not send a delegation to the signing ceremony come December. Like many of its eastern neighbors, Austria’s recent immigration policies have been marked by a sharp turn to the right as voters have delivered right-wing, eurosceptic, populist, and anti-immigration parties to power. While the 2016 Austrian presidential election ultimately rejected a far-right candidate in favor of former Green Party leader Alexander Van der Bellen, in the October 2017 election for the lower house of the Austrian Parliament, the Christian democratic conservative Austrian People’s Party (ӦVP) came first with nearly 32 percent of the vote and 62 seats in the 183-member chamber, followed by the incumbent Social Democratic Party (SPӦ, 26.9 percent and 52 seats) and the right-wing nationalist Freedom Party of Austria (FPӦ, 26 percent and 51 seats). An abortive attempt by the SPӦ to entertain a coalition with the FPӦ fell in favor of a right-wing coalition government negotiated between the ӦVP and the FPӦ. While stressing his government’s priorities for a “strong Europe” and ruling out a referendum on Austria’s continued European Union membership, Chancellor Sebastian Kurz (ӦVP) constituted a government that gave junior coalition partner FPӦ seven seats in the cabinet, including key posts such as the Vice-Chancellorship and the Ministries of Foreign Affairs, Defense, and the Interior. The UN’s statements on the matter echoed the EC’s, as the UN Special Representative for International Migration rejected the Austrian government’s concern that the compact would lead to the development of a “human right to migrate” and expressed disappointment over the fact that “a lot of reasons that are advanced for disengaging are either mistaken or do not reflect” the substance and goals of the compact.